Let us service your HVAC system. We make service calls, diagnosing problems before proposing a course of action. Once you approve, we take it from there. 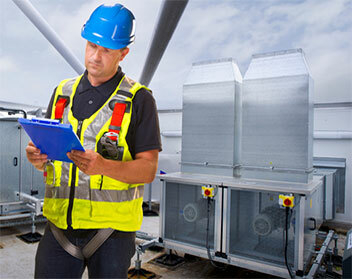 Your commercial or residential systems are gone over with meticulous care by our expert technicians. We service old units, replace Freon gas or install new units. Do you operate a hotel or apartment buildings? We’ll expertly service your Packaged Terminal Air Conditioner. Our technicians are experienced and capable of working on all makes and models. We offer a one-year warranty on all repairs.